This clinic is intended for coaches/mentors (adults) ONLY. Cost: $30/session, register at UTD Marketplace. Calling all FIRST Tech Challenge coaches, mentors, and educators! Come brush up on your knowledge & skills and hear proven tips for improving team performance. UT-Dallas is offering a 2-day training workshop for coaches and teachers where attendees get hands-on experience building and programming FIRST Tech Challenge Robots, including the new REV Robotics Expansion Hub controller and sensors. 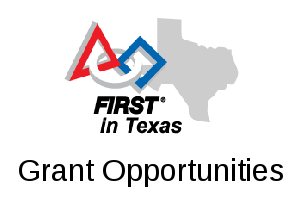 Sessions are facilitated by Dr. Patrick Michaud, North Texas FTC Affiliate Partner and renowned FIRST coach with several world-ranked teams. Registration is available via the UTD Marketplace at https://ezpay.utdallas.edu/C20239_ustores/web/classic/store_main.jsp?STOREID=135. Again, space is limited and registration will be generally first-come first-served.